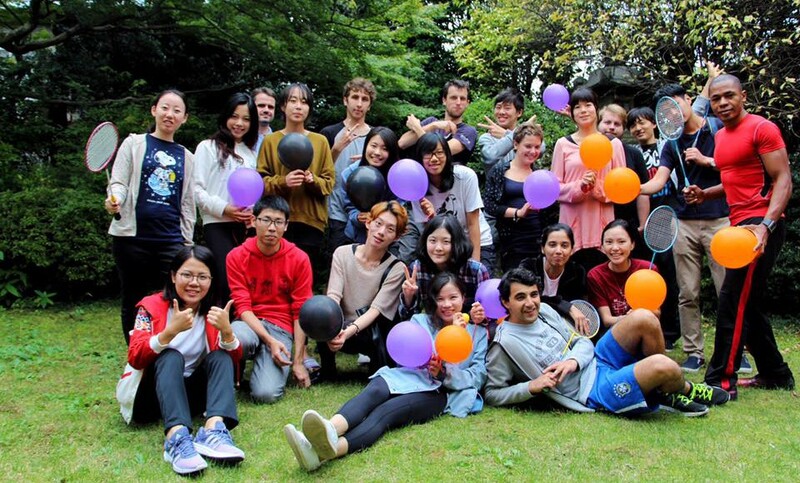 If someone ask me what is the best international student dormitories in Kyoto city? I would simply say that it is the Haus der Begegnung. All me HdB folks will be there to support my answer. Apparently, my title today, is also a simple question for someone to ask. But I have been wondering how to answer this question. In this blog I will try to answer the same question in a different angle. In my experience, I have found myself hardly limited to what I can cook here because most of the authentic Sri Lankan spices are hard to find in Japan. Yes, some recipes cost a bit more than what I may have spent on them in Sri Lanka, but overall, I’ve found a happy and simple solution. My friends and I cooked for the fourth common meal of HdB which not only Japanese food, but a wide variety of other cuisines from several countries. A Japanese girl cooked 豚の角煮 (a Japanese dish with boiled pork). The cooking time was so noisy because was hitting the big piece of pork with a rod style rolling pin. Eventually they had cooked delicious main dish. A Korean girl cooked a Korean spicy dish called tteok-bokki which was delightful. So silently A Uzbek girl had made samsa (meat pastries) which added more taste and variety to our common meal table. An Asian Indian girl and I made cutlets with a Sri Lankan style filling. Customarily the house mother made a delicious vegetation soup. As always Office lady made white and brown rice for us. Finally our sweet dessert-line was a good topping for the guts of hungry HdB folks after the good meal. An Asian Indian girl and I made a banana and grapes mixed smoothie. A Japanese girl made Shiratama Dango which was served along with ice-cream and fresh fruits. We do not eat all these nice foods alone once in fortnight. HdB floks welcome a limited crowd for each common meal. Our guests range from friends of HdB residents or scholars to former HdB members. During the common meal, we give opportunity to make the funniest self-introduction they have ever made. At last not least, all of these are fun with a deep sense of cultural exchange and mutual understanding among students and researchers from various countries. A common meal is one of the many efforts taken by the HdB to reach its spirit as a house where it states that folks from different continents and cultures, of different races and colors, different social strata, religions and outlooks live together. The writer thanks the support given by HdB and all those who helped to make another delightful night a success.